MANILA - Medical cannabis is a better drug for patients suffering from seizures, cancer, and other diseases as it is "less toxic" compared to other treatments, experts said Friday, as lawmakers continued to debate the legalization of medical marijuana use in the Philippines. Studies showed that in the last 5,000 years, there was no recorded deaths due to marijuana, Philippine Cannabis Compassion Society's Dr. Donnabel Cunanan told ANC's Early Edition. "What's good with medical marijuana is that it has less toxicity with the organs and there was no lethal overdose. Wala pang namatay sa marijuana (No on has died due to marijuana)," she said. Cunanan has been advocating for the legalization of cannabis as a medical drug as she claims that it was the best treatment for her 9-year-old daughter who has been suffering from seizures since infancy. "She has more than 100 seizures daily and because of that, it has been so depressing on our part as a parent that's why we are looking for alternative options," she said. "We have tried around 7 anti-epileptic drugs. Out of these drugs, none really worked for my child and because of that she has global developmental delay and she has cerebral palsy," she said. Most cancer and seizure drugs available in the Philippines have negative effects on children, said Dr. Chuck Manansala of the Medical Cannabis Research Center. "A lot of those given to children are very, very strong. They knock them up. They cannot function. There is global development delay. That does not happen in cannabis," Manansala said. House Speaker Gloria Macapagal-Arroyo had authored a bill to legalize the plant, still considered an illegal drug in the Philippines. She recently admitted to using a "marijuana-based pain patch" when she is not in the Philippines to relieve pain from her spine injury. Several lawmakers oppose the measure due to concerns that patients may be addicted to the plant. Manansala admitted that patients may be "dependent" on cannabis, but assured that it would not lead to drug addiction. "There is dependence, but addiction in what we see with opioid (class of drugs including heroin) use or phenobarbital (sedative) use, it is nowhere near there," Manansala said. "Withdrawal symptoms in cannabis use is very, very mild and transitory. It disappears very, very quickly," he said. 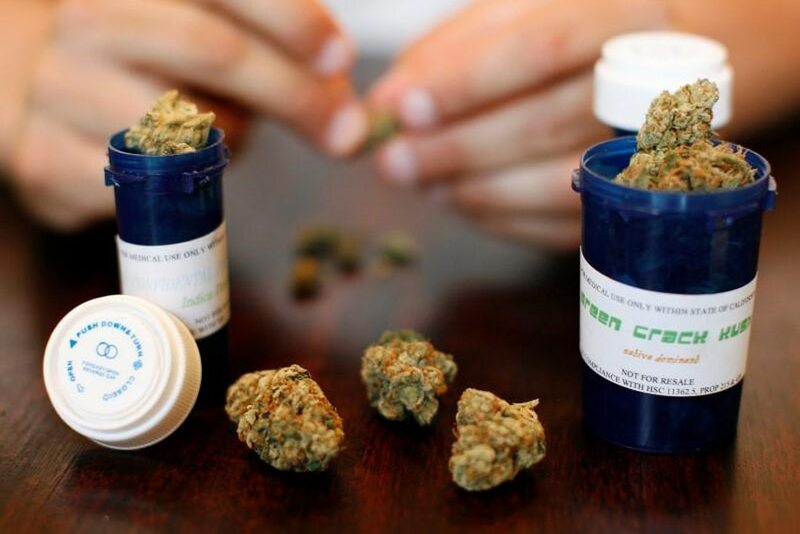 Under the bill the House approved on second reading, medical marijuana may only be bought from 5 government-approved centers nationwide with a prescription from a physician. "You go to a clinic then you are diagnosed by a doctor. When a doctor sees you need cannabis, then cannabis will be given to you. But you cannot say, 'Doc, penge ngang damo diyan (Doc, can I have weed)?'" said Manansala, who was consulted by authors of the bill. "There will be a database of doctors and patients and there is a special license that will be issued," he said. Malacañang earlier said President Rodrigo Duterte will support any bill that would seek the legalization of medical marijuana, but senators have yet to file a counterpart measure for the said proposal. Under the Comprehensive Dangerous Drugs Act of 2002, possession of at least 10 grams of marijuana resin or marijuana resin oil, or at least 500 grams of marijuana is punishable with life imprisonment and a fine ranging from P500,000 to P10 million. The use of medical marijuana is legal in California and some other parts of the United States, Canada, and Poland, among others. Just last month, Thailand also approved the use of medical marijuana.